We we're glad enough, after beating paras in the first round, to come to this game against BP powerhouse. After their mistake's with oil near Mexico, they came to this match well prepared and guns blazing. 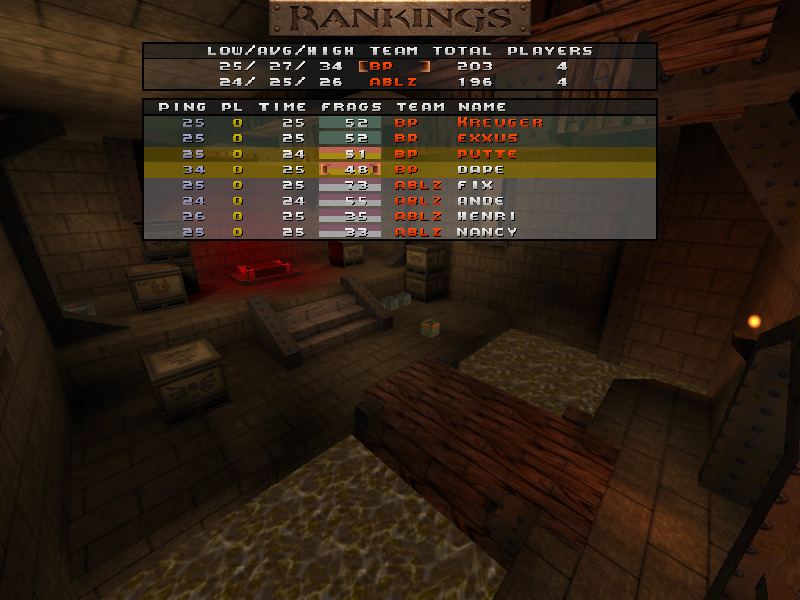 We were happily able to take twice their beforehand best map DM3, but had some difficulties in other maps. Few close rounds could've gone either way, but BP managed to crown theirselves as winners. Everyone got to play against div2ish team, and were happy after the game, since no1 expected us to have a chance. GL to BP into the final, and please, please try to prevent the damage your spilling oil is doing to proper US citizens! And we shall not forget all the wildlife you're trying to ruin! Henri, no need to downplay yourself this way, with fix in your team you are not underdogs against us, these games proves this. iab showed vs FA during the bronze final game that they are a decent div3 team without fix. Ofcourse with fix that is playing a serious game iab is low div2 so you guys can obviously give bp a hard game. You could as well beat them seeing the last map could've been won by both. Someone said that a div1 player can control the whole map in div3 matches even with crappy teammates, but I think this shows some quality that the statement isn't rock hard. Of course having a superstar in your team gives you a huge advantage, but when facing four to five solid players the outcome isn't always predictable. I think the best BP player award goes to Exxuss (without having a look in stats), but in game it felt that Exxuss was the one snapping our backbone at the conclusive last minutes and eventually turning maps to BP. We certainly thought that we could win this one if everything goes well. And what do you know? screenshots show that it wasnt exactly an utopic belief. 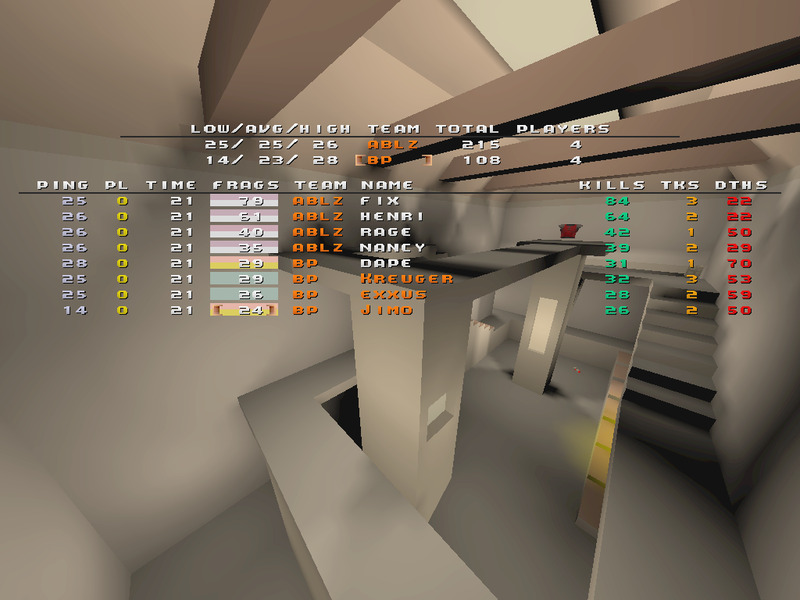 Its been longtime since i have played in such overwhelming game, it had everything a good qw tdm game requires in concept of drama,ups and downs etc. But in the end ill just take my hat of and bow to yours direction, we did our best and this time it wasnt enough. Better team won and thats about it. cheers,well played and good luck to your upcoming challenges. well played In a Blaze and congratulations to the third place. Hey BP, we can play tonight, up for it?